Dr. Carlton received her degree from the College of Veterinary Medicine at Texas A&M University. She began her career in Houston, Texas at a multi-doctor, 24 hour care hospital. In 1997, she relocated to Indianapolis where she continued work as an emergency veterinarian. In 1998, she began splitting her time between the then Lake City Animal Clinic and Indianapolis where she worked at several veterinary hospitals filling in while their doctors took vacation. In 2007 Dr Carlton purchased Lake City Animal Clinic and relocated to Warsaw. Two of her goals once settled were to purchase and donate land for an off leash dog park and to build a new state of the art veterinary facility for her patients. Rudy’s Dog Park opened it’s gates as a federally recognized not-for-profit in 2013 and Lake City Animal Health & Wellness Center opened it’s new facility in 2018. Dr. Carlton shares her home with Tallulah, a rescued American Bull Dog and Cricket a rescued cat. 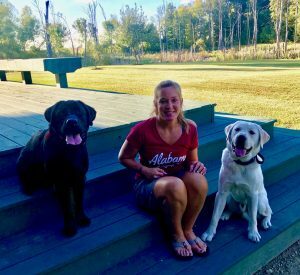 Lake City Animal Clinic was nominated as Business of the Year by the Kosciusko Chamber of Commerce in 2017 and Dr Carlton has been nominated as Veterinarian of the Year and received Woman of the Year from the National Association of Professional Women. In her spare time Dr Carlton enjoys reading, gardening, spending time with family and friends and being outdoors. Dr. Katie Van Dyke joined LCAHWC in 2016 after working as a veterinarian in Columbia City, Indiana for three and a half years. 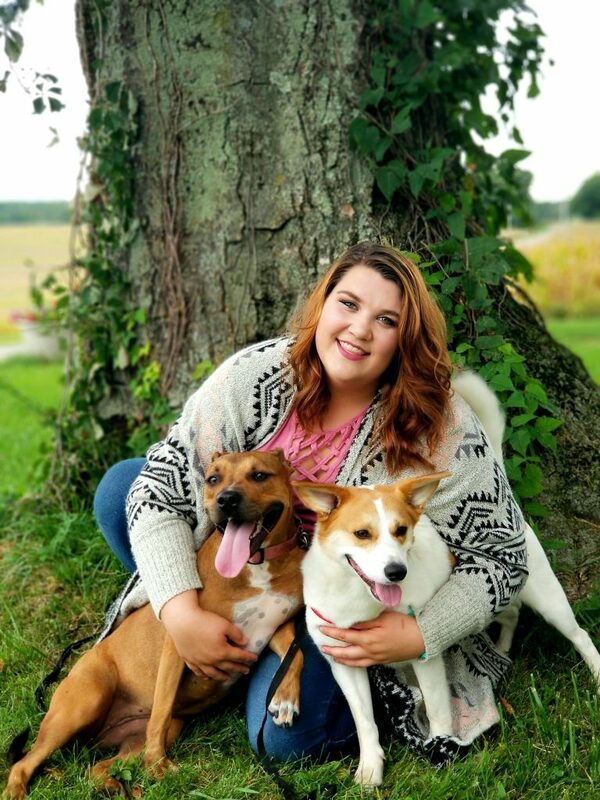 Originally from Muncie, Indiana, Katie developed a love for animals as she grew up with cats. After completing an undergraduate degree in biology and chemistry at Cedarville University in Ohio, she completed her veterinary degree at Purdue University. Dr. Katie has special interests in internal medicine, diagnostics, and preventative care. 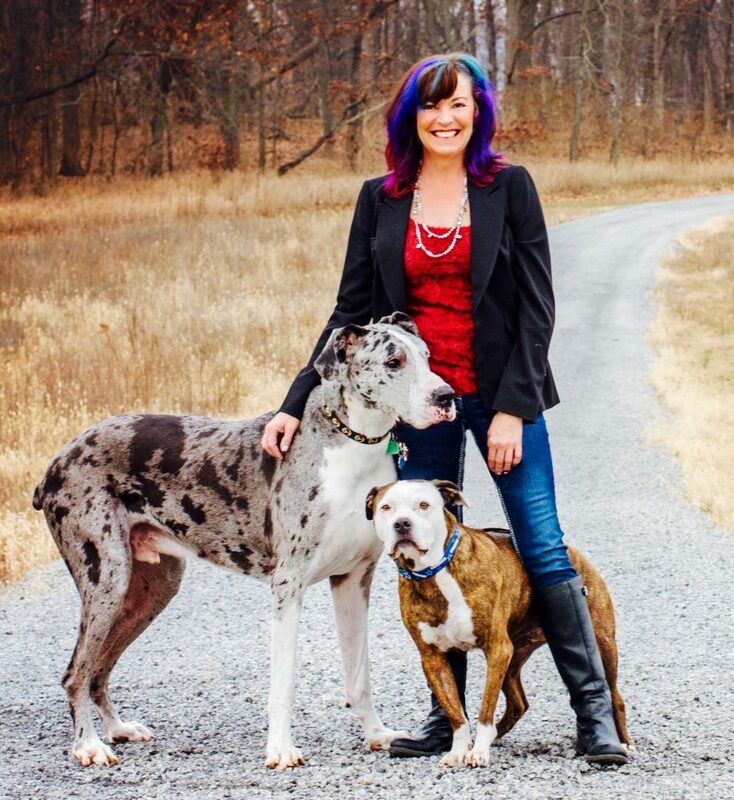 When she is not caring for your furry family, Dr. Katie keeps busy at home with her family. 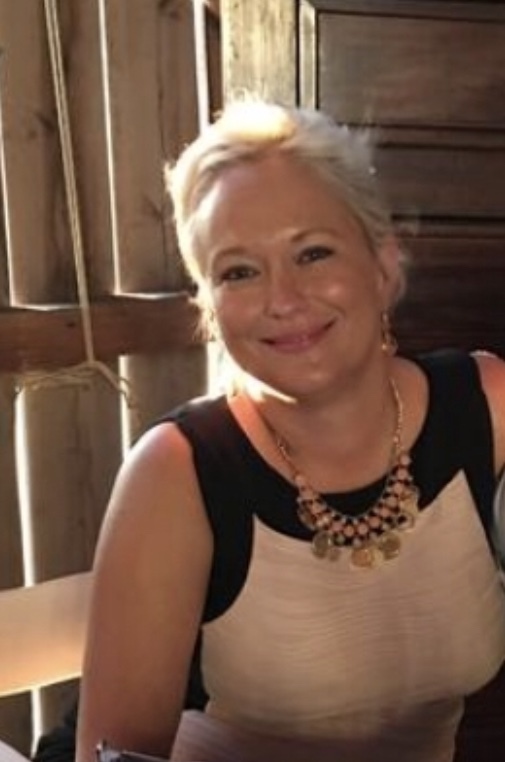 She and her husband enjoy staying active with their two young boys who can’t get enough of building legos, playing outside, and making messes. Two cats, Napoleon and Desmond, allow the two legged creatures to invade their domain, but only when fed on what they deem to be appropriate intervals. The cats also marginally tolerate the two hound mixes, Sophie and Penny who create plenty of mischief and have a unique take on landscaping the yard. Dr. Katie also loves serving in her local church, playing games, and reading in her spare time. Dr. Smith attended Michigan State University for her undergraduate studies and graduated from Purdue University’s School of Veterinary Medicine in May 2002. She has practiced veterinary medicine at Lake City Animal Health & Wellness Center since her graduation and enjoys strengthening the relationship between owners and their pets. Dr. Smith has two cats at home named Candy and Dillon. Amanda is the Practice Manager and joined the team in August of 2018. She’s excited to be involved in all aspects of the growing practice and loves to make a positive difference with our clients and their pets. 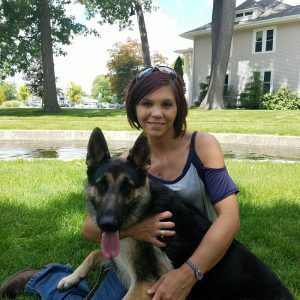 Amanda lives in Warsaw with her husband Russell and has a son, daughter, 2 siberian huskies (Aspen & Luna) and a cat (Kitty). She is also a fitness instructor and loves to travel. Misty is our Office Manager. She has been with us since 1997, where she began her career as a Customer Service Representatives. Misty is happily married with 2 children, a son and a daughter. She also shares her home with their cat Smartie Pants and 2 dogs, a Bullmastiff named Hank and a Brussel Griffin/West Highland Terrier named Scooby and 3 rats (yes she said rats): Esther Grace, Artemis, & Black Bean Enchilada, plus a 30 gallon freshwater aquarium. Amy is our Lead Registered Veterinary Nurse. Leaving a career in the human orthopedic field Amy followed her true passion and went back to school to obtain her degree as an RVN. Working as an RVN since 2010 she joined the Lake City Animal Health & Wellness Center in 2015. 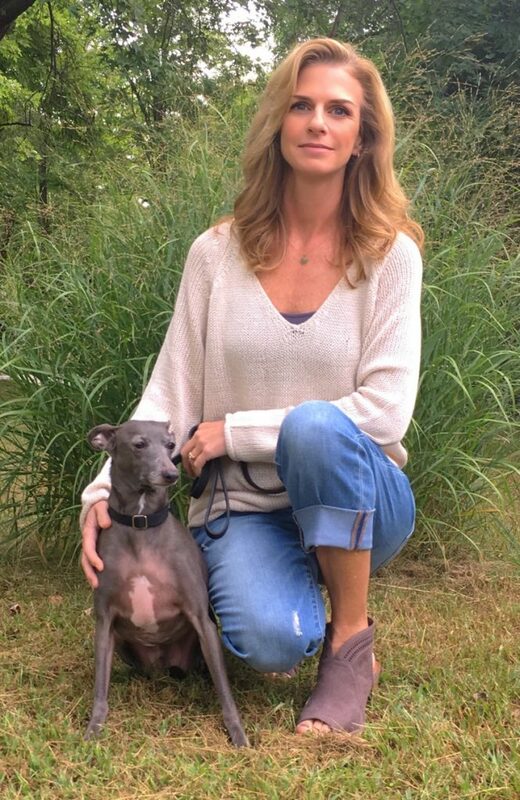 Amy is married with 3 daughters, 6 grandchildren, 3 cats: Simon Little Man, Gracie, & Scully, an Italian Greyhound: Frank, and cares for a small colony of neighborhood strays (The Cat Farm). She’s also a huge advocate of feline TNR (Trap/Neuter/Release) programs. She can’t imagine a life without the constant companionship of animals. Amy feels the most rewarding aspect of this profession are the success stories. To watch a patient thrive as the result of the combined efforts of his/her doctor, nurse, and family is so rewarding. Who doesn’t love a happy ending? Amy is one of our Registered Veterinary Nurses and is also a certified Trainer. 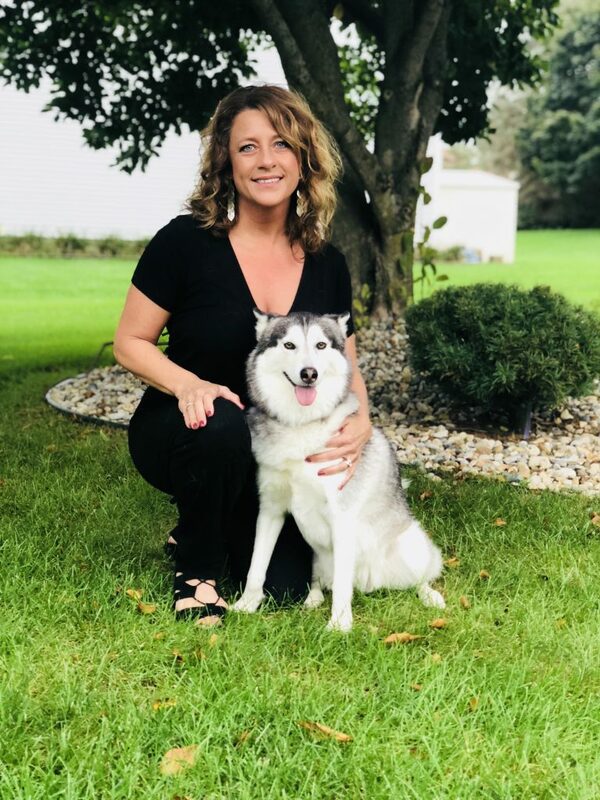 She graduated from Purdue University Veterinary school with her veterinary nurse associate degree in 1995 and from the Karen Pryor Academy as a certified training partner in 2016. Along with her nursing duties, she offers group puppy and adult training classes as well as one-on-one training/behavior modification sessions at our clinic or in owner’s homes. Helping to ensure our patients’ physical and emotional health is the absolute best it can be is what Amy most loves about her job. Amy shares her busy home with her husband Mike, their 3 children and several dogs and cats. During her free time she can be found with her nose in a book or her behind in some bleachers cheering on her kids or her beloved Boilermakers. Haley joined the Lake City Animal Health & Wellness Center team in May of 2017. She obtained her degree to become a Registered Veterinary Nurse from the Vet Tech Institute in Fort Wayne. In her spare time she enjoys camping with her fiance and 2 dogs and horseback riding. Haley also currently has 2 cats, 2 horses and 2 pygmy goats! Sheridan joined our team in April 2017. In 2013 she graduated the Veterinary Program at IBC Fort Wayne and obtained her license as an RVN. She assists our doctors with appointments, monitors our patients during surgery, performs dental cleanings and many other technical duties. She and her husband Brandon married in August 2013. Since working as an RVN she has adopted a cat named Minnie and a dog named Quila. Erin is one of our Registered Veterinary Nurses and joined our team in August 2018. Erin is originally from Minnesota and relocated to Indiana in 2017 along with her boyfriend who owns a racing team. She has a corgi named Lou Lou, a pit bull mix named Kimi ( boyfriends), along with a Golden Retriever- Rex, a black Lab named Shadow and a Quarter Horse named Nippers who remain back home on her parents farm. She graduated with her AAS in Veterinary Technology in 2010 and started her career in early 2011 after moving to Alaska where she worked the overnights at the 24/7 emergency hospital in Anchorage. She returned home to Minnesota in 2012 and continued her work as a registered Veterinary Nurse there until relocating to Indiana. Erin feels the most rewarding part of her job is caring for the critically ill patients that require more medical attention and how a bond forms when you are working with them everyday to get better. Seeing them go home feeling better with happy owners is the best. Heidi originally began working with us in 1995. She worked as a nursing assistant for 10 years before deciding to stay at home and raise her girls. Heidi returned to work as a nursing assistant and kennel care technician in 2015. Heidi loves spending time with our boarding guests and making them feel at home while staying with us. Heidi is married with three daughters, two dogs(French Bulldog and Jack Russell), four horses and five barn cats. She spends her weekends at horse shows with her daughters and also loves to camp. Lisa is our wonderful groomer at Lake City Animal Health & Wellness Center and has been with us since 1995. Lisa has 2 grown children, 1 grandson and 2 grand dogs. Lisa and her significant other, Rick, have 1 dog Simon and 1 cat Jeanie. All of her pets have been a rescue in one way or another. One of the favorite parts of her days is when a pet comes in for grooming and is overjoyed to see her. She feels that working with animals is the gift that God has blessed her with. “Until one has loved a pet, a part of their soul remains unawakened ” -anonymous. Alexandra came back full time as our Lead CSR in April 2016. She loves seeing your bright and smiling faces and watching your fur babies as they grow up. You’ll typically hear her answer the phone or greet you as you walk in through our doors. Alex lives in Pierceton with her two young daughters, her Rottweiler Hannah and her cat Oskar. If that isn’t enough to keep her busy, in her spare time she loves to be outside, read books, watch movies and clean. Danielle graduated from Grace College with honors, holding a bachelor’s degree in Business Administration. Danielle has combined her business background with her love for animals in order to provide excellent service for our clients and their furry families. Danielle, her husband, and their four sons have several rescue animals including dogs, cats, and three potbelly pigs. The children also have several farm animals that they show in 4-H. When Danielle isn’t busy attending her children’s sports and 4-H meetings, she enjoys painting, reading, and horseback riding. Missy has been with the clinic since January 2016 as a customer services representative. She is married and has 2 daughters and a son, she also has 2 dogs and 3 cats. She enjoys the summer season and traveling as much as possible with her family. Krystle is our head kennel technician that helps take care of your beloved pets when they are boarding, she also helps out in the clinic occasionally as a Nurse Assistant. Krystle previously worked at The Whitley County Humane Society. She is currently enrolled in Purdue’s Veterinary Nursing Distance Learning program working to get her associates in applied science in Veterinary Nursing. Krystle has one dog named Rascal that is a spunky corgi, beagle, and American Eskimo mix. Outside of work, she loves to spend time with her Fiancé and their son playing T-ball and fetch with their dog Rascal. Nichole joined our team in 2018 as a part-time kennel care technician and nursing assistant. She has been a client with us since she and her fiancé moved to this area in January 2017. Nichole has two sons and one grandson all currently living in Southern Illinois. She has four pets: two Labrador Retrievers and two domestic cats. Nichole already has a full-time job, but has always wanted to work with pets and now since her children are older, she is able to do that and is absolutely loving it. Makayla joined our team in 2018. She is one of the caring staff that makes sure our feline and canine hotel guests are happy and pampered during their stays with us. Makayla is currently attending Ivy Tech Community college to further her education and hopes to find what she wants her career to be. Some of Makayla’s favorite things are camping and spending time with friends and family. Makayla also loves to shop not only for clothes but shoes as well. Makayla has two dogs – Bella a shih-poo and Nala a German Shepherd and 4 cats. Makayla has a passion for animals and hopes that her future career involves working with them. Jeff joined Lake City Animal Health & Wellness Center in August of 2018. Jeff works hard maintaining our facility and grounds to ensure it maintains its beauty. Jeff lives with his wife, Wendy, in Warsaw. They have 5 children and 4 grandchildren. Jeff and Wendy have 2 labs, Sadie and Moose. In his spare time, Jeff likes to ride his Harley, go fishing, and hunting. He and his family also enjoys traveling to their get away in Northern Wisconsin. Adric has been with Lake City Animal Health & Wellness Center since 2015. Adric’s responsibility is to keep the facility in ship shape. He enjoys the rewarding feeling of working together to achieve a common goal. Adric lives on the outskirts of Mentone on a small farm that has several animals, including a horse, 4 cows, a dog, and a variety of barn cats. Adric enjoys musicals at The Wagon Wheel, storm chasing, video games and racing.